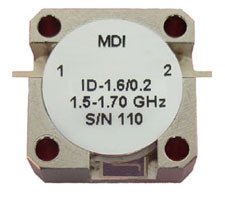 Microwave Devices offers a wide range of drop-in isolators, designed specifically for use with stripline and microstrip circuits. Note: Customer must specify reverse power in order to determine the required power rating of the termination. Average power ratings up to 350 Watts.